Easily provision Highly Available and dedicated three-VM RabbitMQ clusters and single VM instances with a single command. anynines RabbitMQ is included in the anynines Data Service Kickstart Bundle. This Bundle allows you to use a growing list of services with a single licence. The bundle currently includes a9s MongoDB, a9s PostgreSQL, a9s RabbitMQ, a9s Redis, and the a9s Elasticsearch services. anynines RabbitMQ ships with an on-demand service broker. 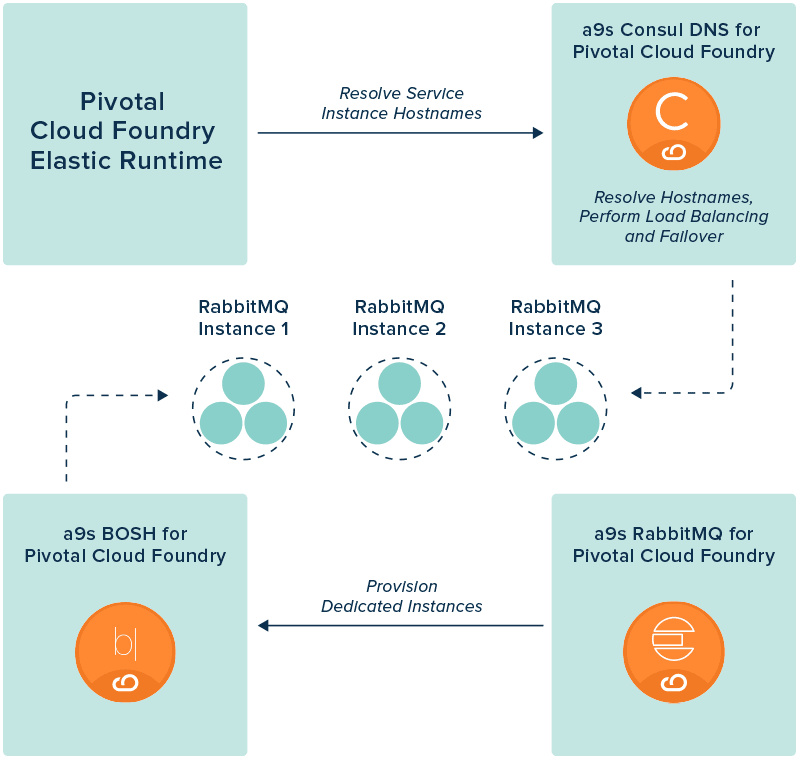 By installing a9s Consul and a9s BOSH for PCF, a highly available service discovery system is used for load balancing and failover as well as a dedicated BOSH for the provisioning of RabbitMQ instances.